This ambitious publication draws from the knowledge and expertise of leading international figures in voice training in order to examine the history of the voice from an interdisciplinary perspective. 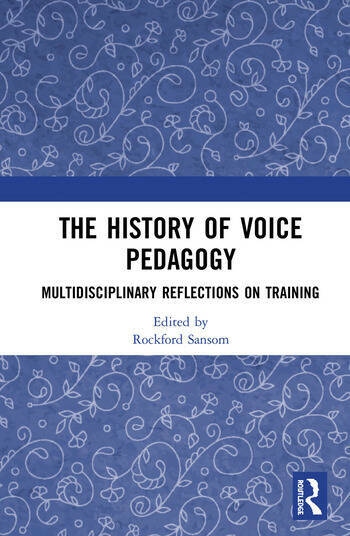 The book explores the historical arc of various voice training disciplines and highlights significant people and events within the field. It is written by voice specialists from a variety of backgrounds, including singing, actor training, public speaking, and voice science. These contributors explore how voice pedagogy came to be, how it has organized itself as a profession, how it has dealt with challenges, and how it can develop still. Covering a variety of voice training disciplines, this book will be of interest to those studying voice and speech, as well as researchers from the fields of rhetoric, music and performance. This book was originally published as a special issue of the Voice and Speech Review journal. Rockford Sansom, PhD, is a voice coach in theatre and a voice trainer in business and politics. He is the Editor of the Voice and Speech Review.